KitKat owner Nestlé SA is upping its game in high-end chocolate to chase revenue growth as overall chocolate volumes decline. Global chocolate volumes will be flat this year from a year earlier and fell 1.1% last year, according to Euromonitor. In the U.S., the world’s largest chocolate market, consumption peaked in 2005 and has declined 3% on average over the past 10 years, according to UBS. But revenue has grown by 3% a year on average since 2001, the firm said, as companies have sold health-conscious shoppers pricier offerings with complex flavor profiles, organic ingredients and less sugar. That is forcing mainstream chocolate companies like Nestlé to shift gears. Overall, Nestlé reported first-half net profit of 4.1 billion Swiss francs ($4.3 billion), down 8.9% from 4.5 billion francs over the same period in 2015. Revenue of 43.2 billion francs was equivalent to organic growth—which strips out the effects of currencies changes, acquisitions and divestments—of 3.5%, aided by strong sales in North America. The company has missed its sales target of organic growth of 5% to 6%—dubbed the “Nestlé Model”—for three years running, raising questions about its long-term growth prospects. The chocolate industry has been consolidating over the past decade, delivering efficiencies to a handful of big players that have helped them battle falling volumes. Mondelez International Inc.’s recent $23 billion bid for Hershey Co. failed, but analysts expect further consolidation. The top six players control 60% of the market, according to Euromonitor. Nestlé, which bought 60% of Chinese candy maker Hsu Fu Chi in 2011, has largely stayed away from making big acquisitions in confectionery. 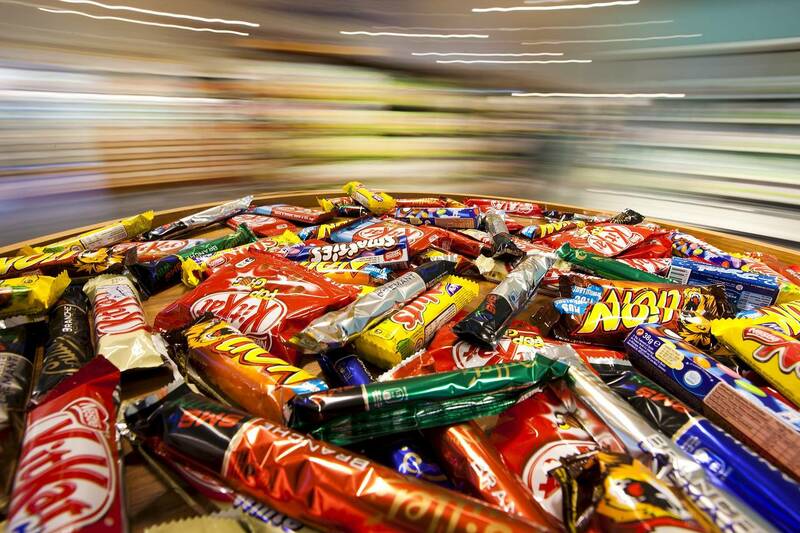 The company has showed interest in buying Ferrero International SA but has been unsuccessful so far, leaving its chocolate portfolio skewed toward mainstream chocolate with brands like KitKat, Crunch, Butterfinger and Smarties. As consumers have displayed a taste for upscale chocolate, Nestlé has worked to position some of its existing brands as premium offerings in certain markets. KitKat runs stores in Japan that last year sold a limited-edition version of the chocolate wafer covered in a layer of real gold foil for ¥2,016 ($20).